Proper Thai fish cakes. I can guarantee you’ve never had them before, because since moving to the UK, neither have I, despite the fact that they abound on pub menus all over the nation. 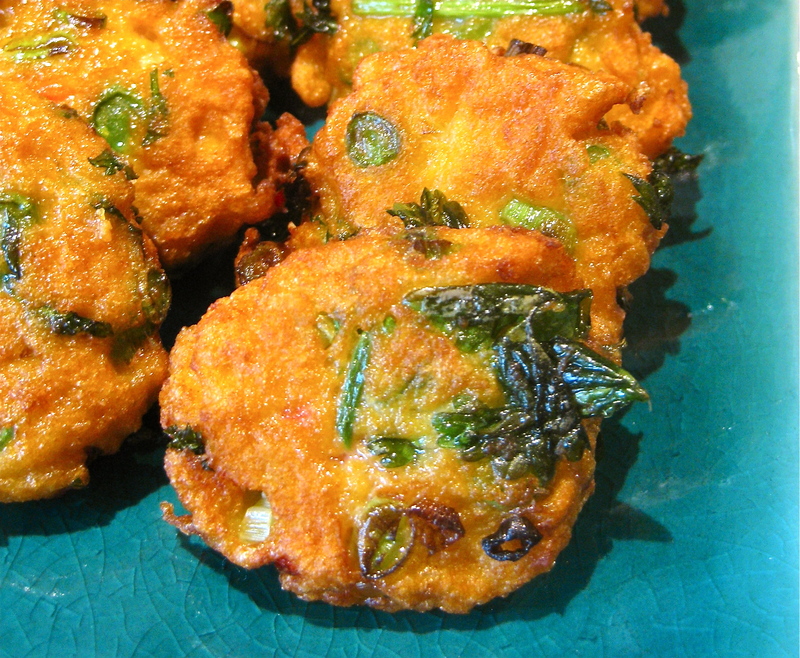 I’m going to throw you a bone here and share a recipe for proper Thai fish cakes. The bouncy and pungent kind that are made and enjoyed by Thai people and Australians and anyone else fortunate enough to have a good Thai restaurant near them. The best part is that they’re easy to make and you probably already have most of the ingredients in your kitchen. The recipe is an old favourite that I’ve rediscovered since digging out my old CHARMAINE SOLOMON’S THAI COOKBOOK: A Complete Guide to the World’s Most Exciting Cuisine . The only thing you’ll probably need to buy is the actual fish and some Red Curry Paste. But any old supermarket kind will simply not do. Seek out the Mae Ploy brand or similar Thai imported variety from Asian grocers or online. And while other recipes will tell you that blitzing the fish mixture is a no-no because it makes the cakes spongey, it’s that exact texture that is desirable in this case. They’re supposed to be that way. Put the fish into a food processor and blitz till mostly smooth. 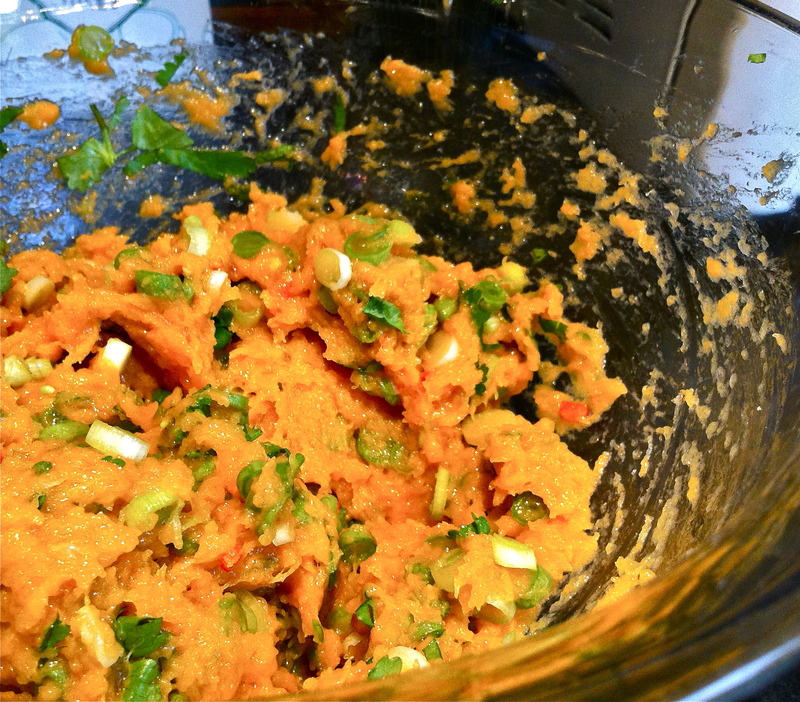 Add the red curry paste, cornflour, fish sauce and egg and blitz until well combined. In a bowl mix the fish mixture and the rest of the ingredients until well combined. With oiled hands, (or wet) form the mixture into flat, round discs about 1cm thick. Heat about 1cm of sunflower oil in a frying pan. When the oil starts to ripple, place a few cakes in at a time to fry. Turn over the cakes one or two times to ensure they’re golden brown on both sides. Let them cool on some paper towel. Serve with sweet chilli or saus wan dipping sauce. To make the Thai sweet dipping sauce dissolve 4 tbs of sugar in 1/2 cup of cold water. Stir in 2 tbs of fish sauce, a finely chopped chilli and 1 tbs of lime juice or vinegar.